Introducing JoyWheel Birth services, your local ally & support source for Western New York families during the birth year and beyond. Birth brings change and JoyWheel Birth offers support during times of transition. We believe in the access/advocacy of choices for everyone as families navigate their individual birth journeys. We celebrate the diversity in all of us and we respect the individual needs of each family. Promote access to holistic birth choices for all. Not your everyday birth education classes! This series includes Momma, Partner of choice, and any Doulas or other supporters are welcome to attend. As a group, students will explore the Who, What, When, Where, How & Why of Birth and Beyond. This 4 week series assists the birthing family in learning about pregnancy, birth, baby, and all their options surrounding both. The information provided prepares the birthing family as they navigate all those important choices. Students will practice breathing and positions in class to assist them during pregnancy, labor, delivery, and postpartum. Resources will be shared to equip and connect new parents as they embark on the birth journey. Each class will have time for community question and answers. 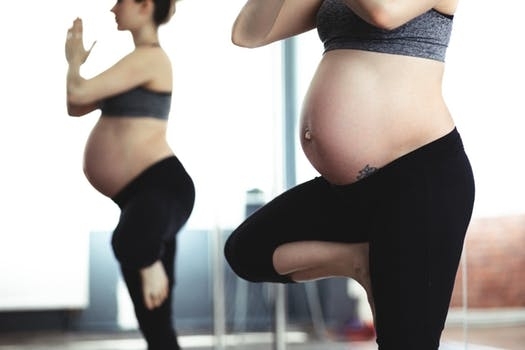 Focuses on safely guiding Mommas with breathing techniques, pelvic floor exercises, yoga poses & preparations for labor. Sessions of PreNatal passes based on your Due Date or Drop-In. This is also a wonderful class for both brand new moms and experienced parents to experience the practice within a community. Monthly or bi-monthly support services at JoyWheel or in-home, for Momma as she prepares for the life-altering moment of birth. Partners and supporters welcome to attend at no extra cost. Families will receive assistance as your individual journey unfolds. New Moms, experienced parents, home birth, hospital birth, birth center, VBAC birth prep, high-risk, low-risk, and multiples welcome. What happens during coaching sessions and how will it help me prepare for birth? Understand that you have choices before you through out your pregnancy and know that you won’t be judged for your preferences or questions but rather empowered with options, education and support. Learn how to write or polish your birth plan to best meet your family’s personal needs. Practice active birth breathing techniques, positions, and methods to encourage a safe, healthy, and holistic delivery. Be prepared with the knowledge of different situations as they may arise and how to navigate them in the moment. Prepare to welcome your newest family member(s) into the world with confidence and support. The coaching does not include attendance at birth. See Doula services below. Looking for someone to support you, from start to finish, as you prepare to welcome your baby(ies) into the world - no matter how the journey unfolds? Would you like to have a supporter that will not judge you or your family’s choices during the birth year and beyond? If you’re seeking a birth professional who will prioritize you and your choices, help you navigate all the options, and provide you with plenty of resources then contact Erin. Her intention is to advocate for the birthing family as they embark on the birth journey and beyond. How will Doula support with Erin assist me and my family? Understand that you have choices before you through out your pregnancy and know that you won’t be judged for your preferences or questions but rather empowered with options, education, and support. Learn how to write or polish your birth plan to best meet your family’s personal needs. Practice active-birth breathing techniques, positions, and methods to encourage a safe, healthy, and holistic delivery. Be prepared with the knowledge of different situations as they may arise and how to navigate them in the moment. Prepare to welcome your newest family member(s) into the world with confidence and support. JoyWheel Founder - Erin Schifferli, MS, RDN, 500 Hour RYT, Prenatal Certified, Doula & Lactation Consultant in training is grateful to have trained with DONA certified educators, Julia Sitting & Christy Muscato of Beautiful Birth Choices, along with self-study of The Birth Coaching Method by, Neri Life Choma, MS, author, birth-educator, and Doula. Her learning continues everyday as an advocate and ally of holistic choices for all families. Her journey began as a young mother, many moons ago. She is grateful for the support of nature, family, friends, clients, and community who continually inspire her every moment. If you’re looking for her during free - time, you’ll likely find her hiking in the woods, splashing in the creek, practicing Yoga in a meadow, or sitting under a tree breathing in the fresh air... with gratitude in her heart.